Our custom designed wooden battle shield with leather straps is suited for SCA combat or other re-enactment uses. It is made right here in the USA from super high quality , knot free hardwood. 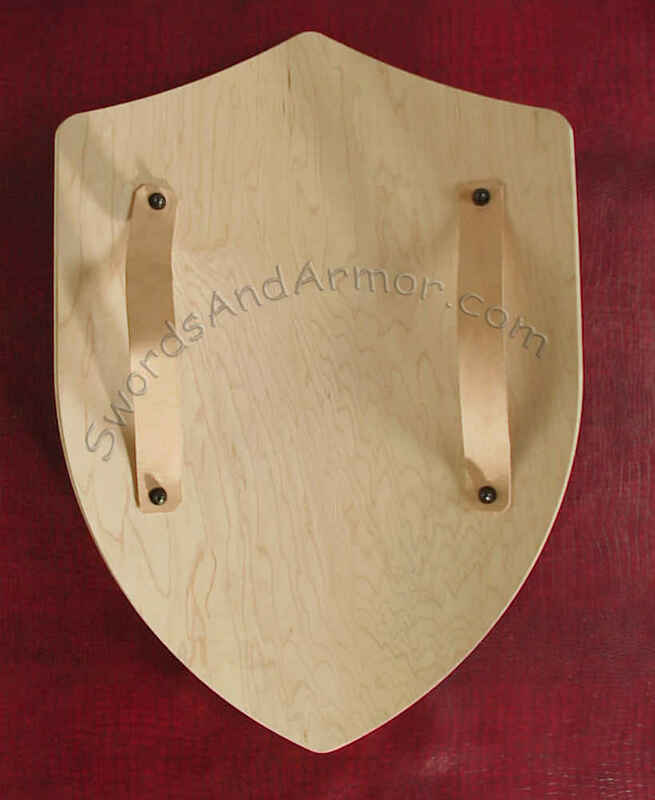 It is constructed with 8-ply wood and has a smooth face and back, ready for your battle colors crest or war paint. The face and back are of such quality whereas you could even finish in a natural or stained wood finish to show the grain. You could certainly paint it as well or do a combination of both. The piece comes assembled with high quality leather straps just as shown. The leather can be easily removed for finishing. It shield straps are also setup to swap for left or right hand usage. 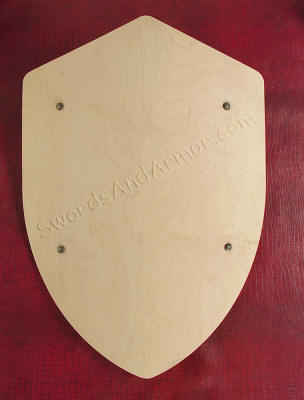 This heavy duty replica medieval shield with withstand even the toughest re-enactment abuse. You will be happy with the quality.